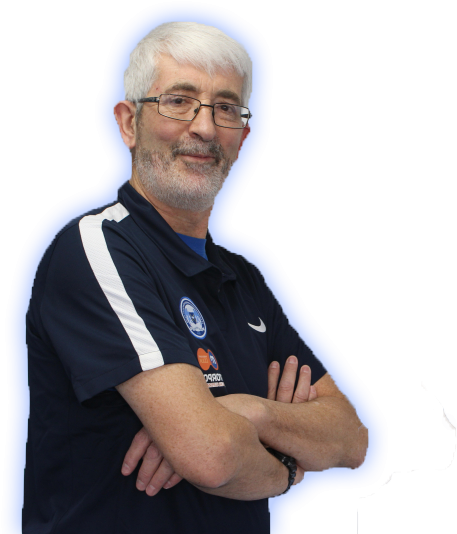 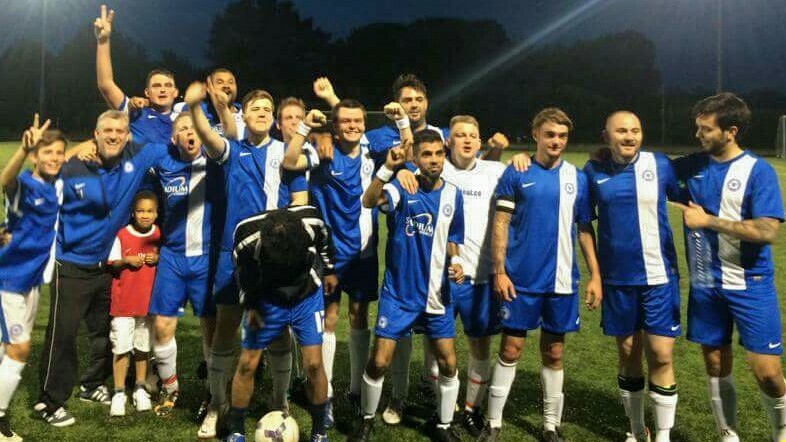 Peterborough United’s deaf football teams are in third position in the English Deaf Football League Southern Division after winning away for the first time in their short history. 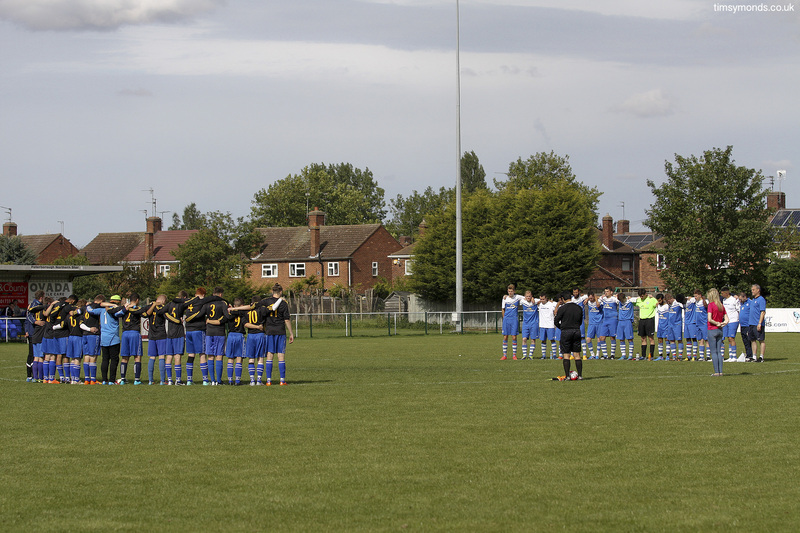 The only other time they played away was a friendly against Doncaster Reserves in pre-season. 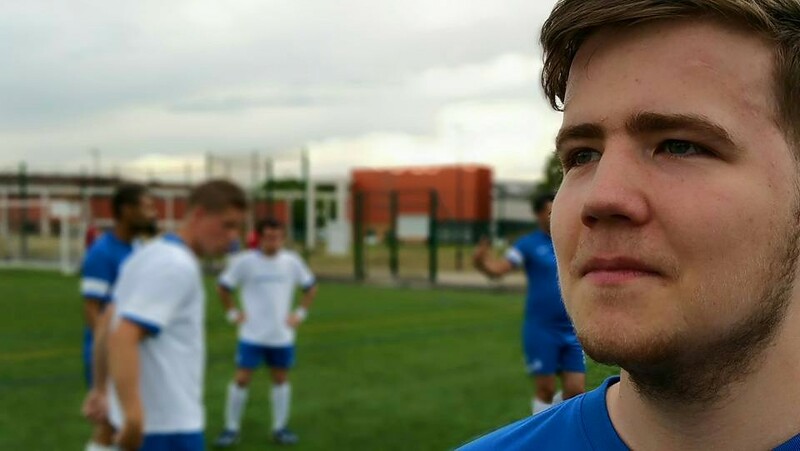 Peterborough United took the lead through man of the match Dean Connoley who powerfully headed in a corner and then soon after Kevin Cordell, who was making his debut scored a left-foot volley after a fine free-kick from Scott Taylor. 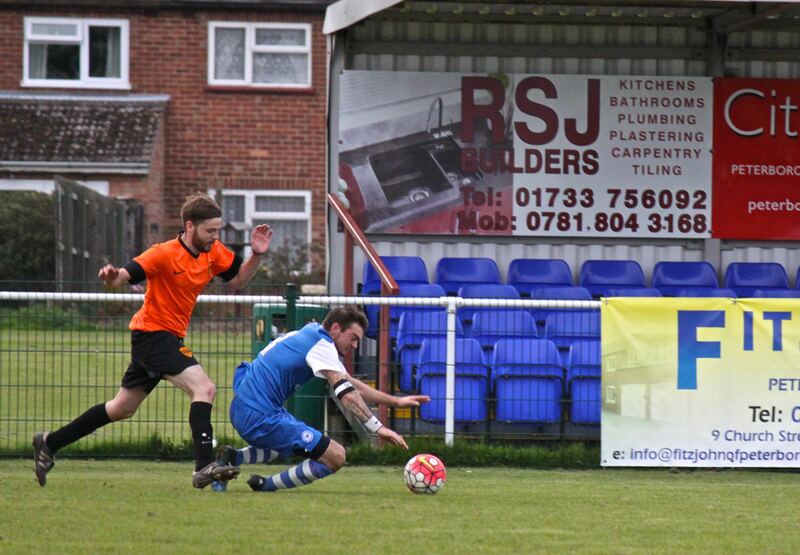 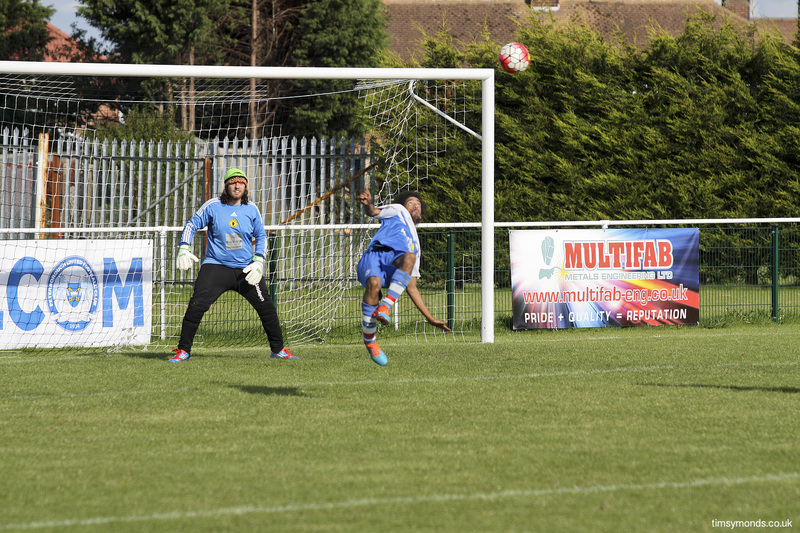 Charlton pegged one back from the penalty spot after captain Liam Avey was adjudged to have fouled in the box. 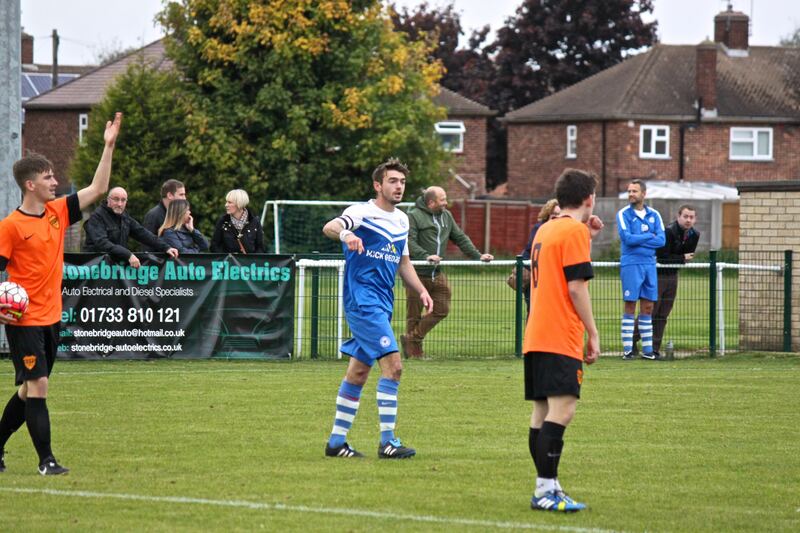 He was also given a yellow card. 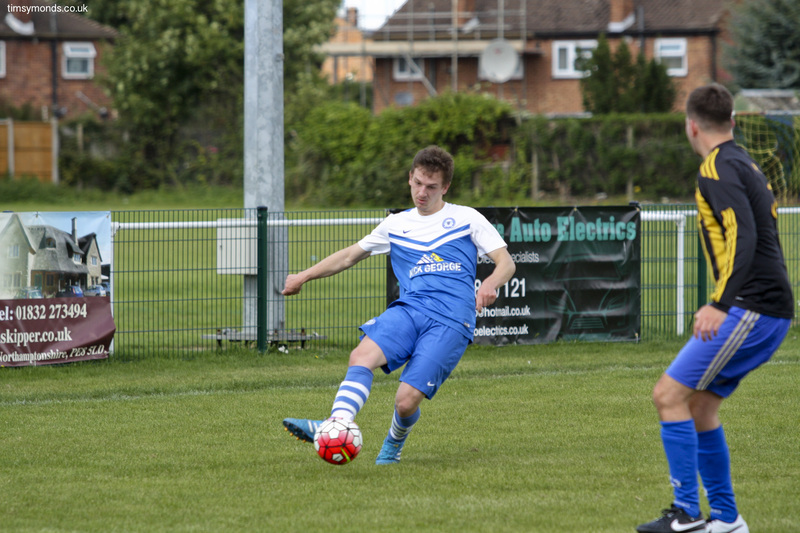 Then Cameron Cockerill stepped up with 15-minutes to go to score another penalty and make the game safe for Peterborough. 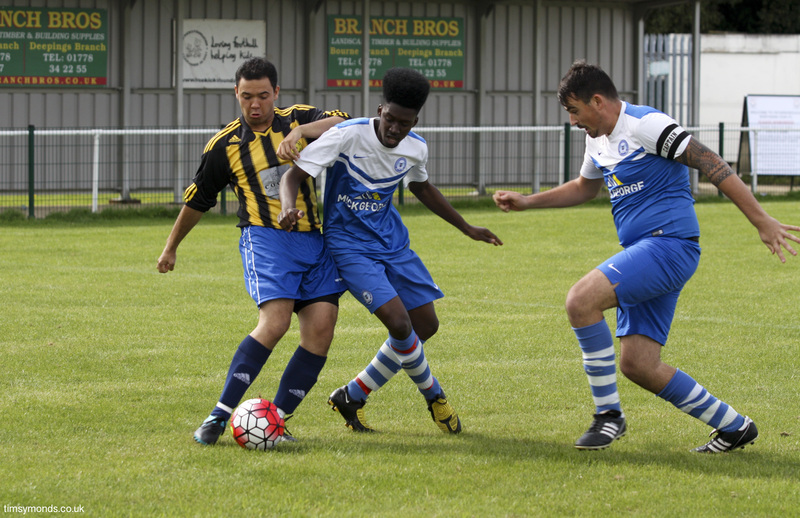 St John’s reserves, who are 4th place in the table, have two games in hand. 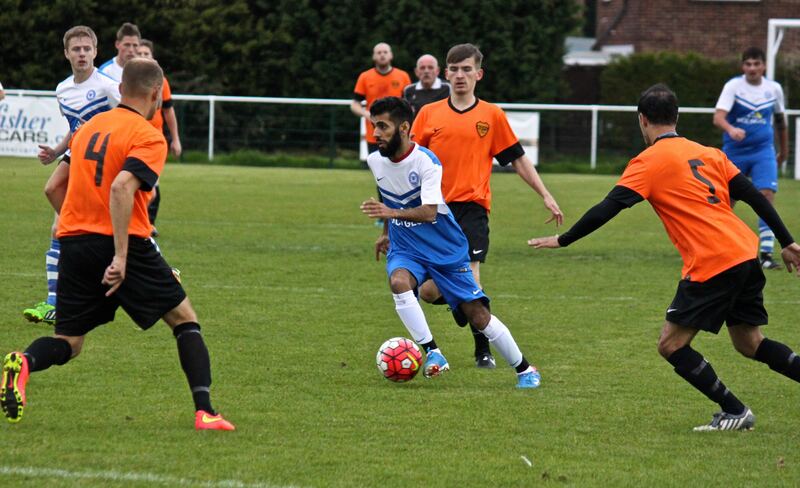 See the league table here and watch our player and manager interviews below. 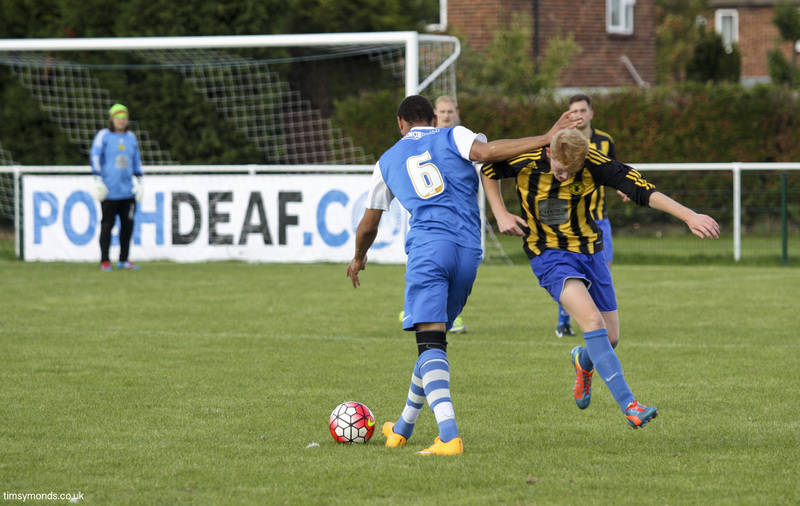 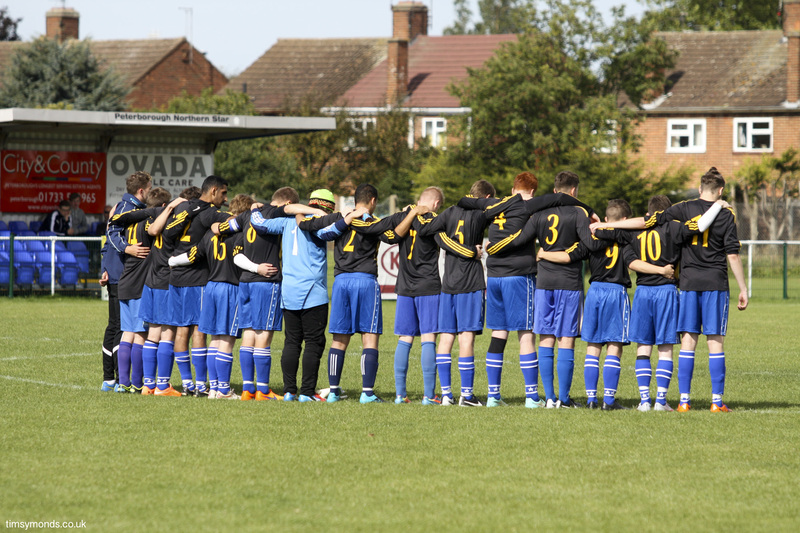 The next game for Posh is a quarter-final away to Bristol in the British Deaf Cup. 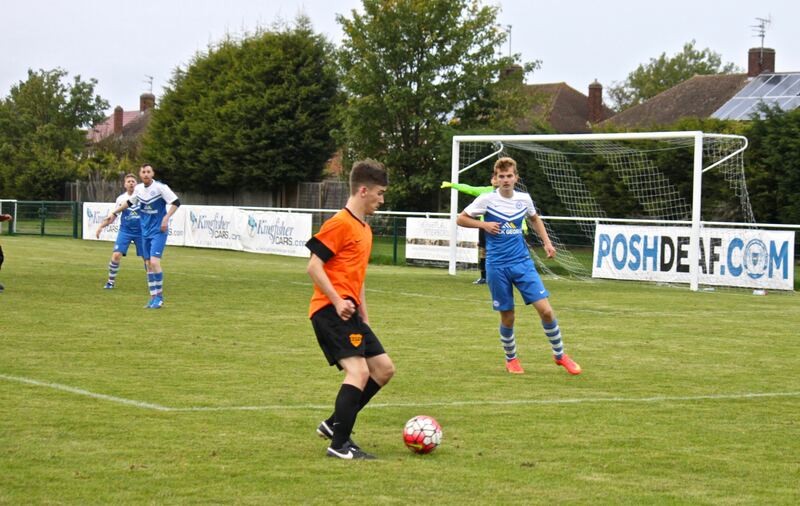 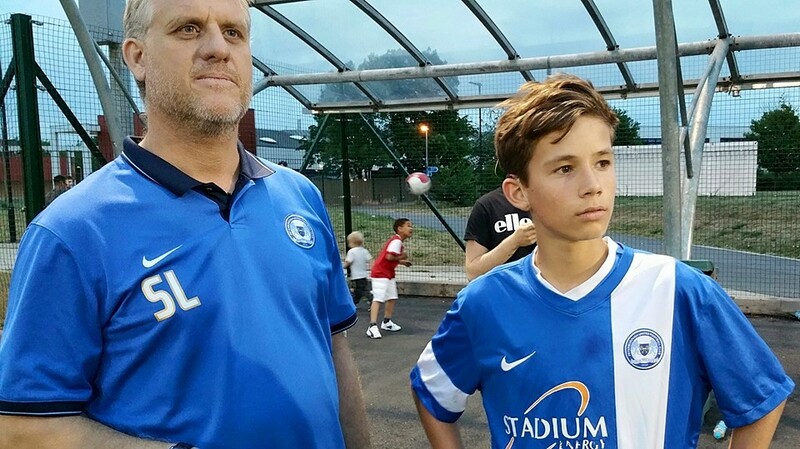 Matthew Wheeler, the young midfielder from Chatteris, who had played in friendlies for Peterborough United, returned to the Branch Bros Stadium on Saturday evening and took all three points for Barnet. 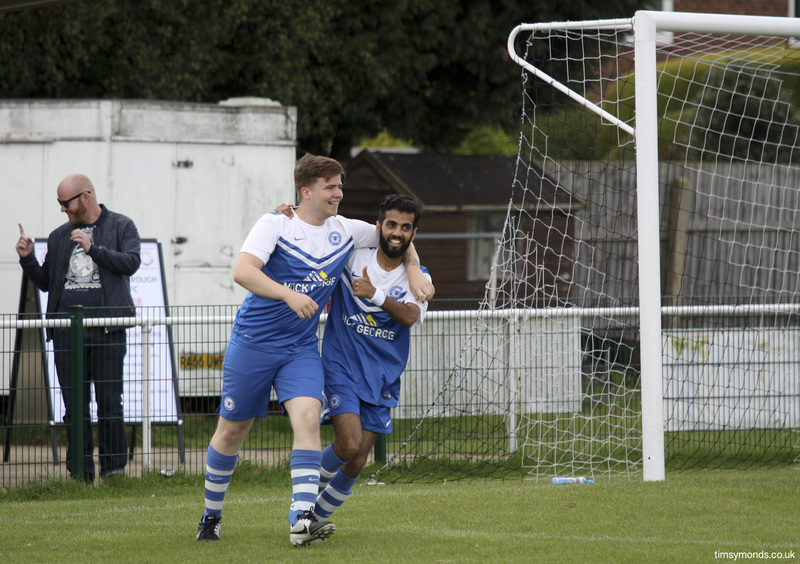 After Peterborough went 2-0 down, Qadeer Hussain scored from the penalty spot and then leveled the scores with a super finish that ricocheted in off the Posh. 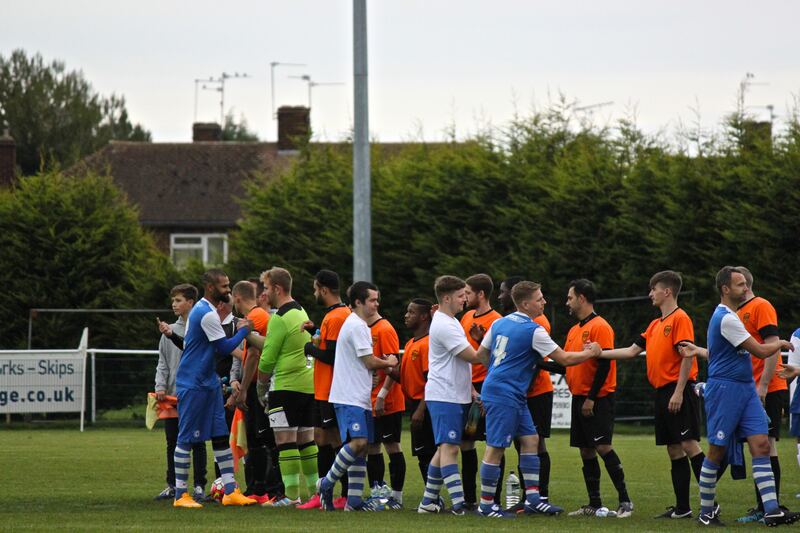 The game was the first as officially named captain for Liam Avey. 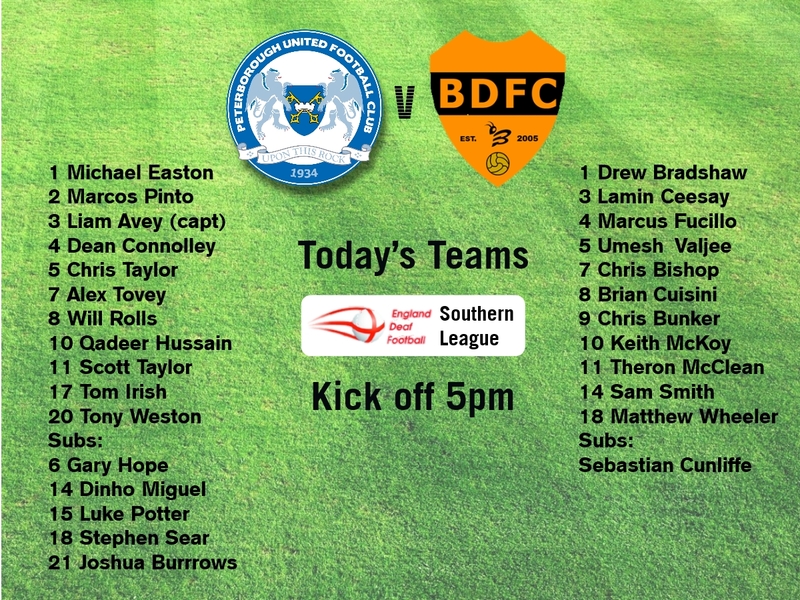 Peterborough were missing three players with Michael Bedford unavailable and both strikers Cameron Cockerill and Chris Majid out injured. 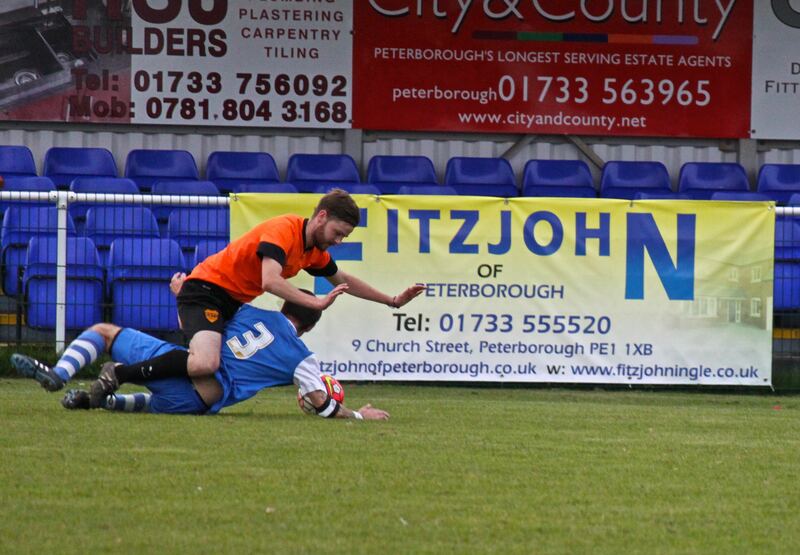 In the end, Peterborough couldn’t keep the momentum up and Barnet, who always looked likely to score on the break, left Peterborough with all three points. 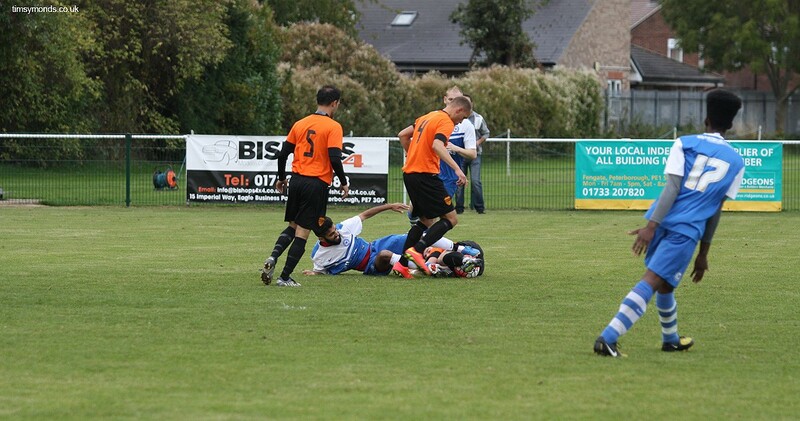 I’m gonna try not to fall on top of you.. 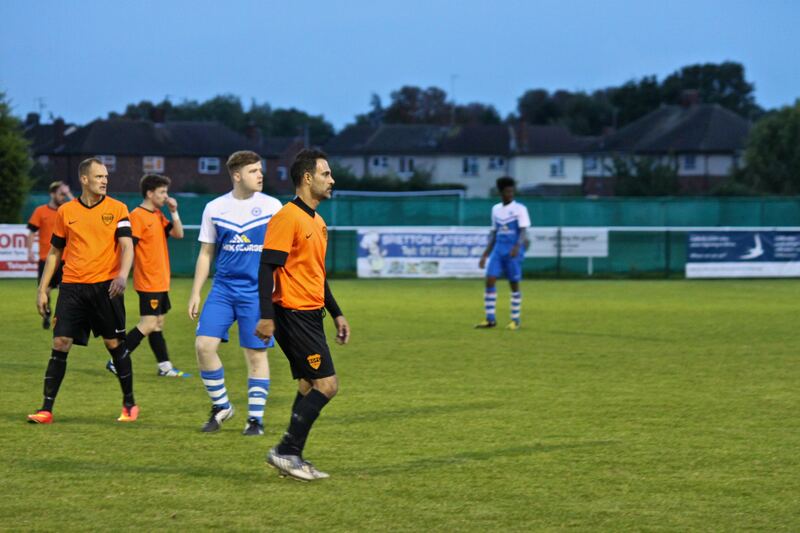 The lights are on and Stephen Sear approaches the Barnet backline with Umesh Valjee and captain Marcus Fucillo close by. 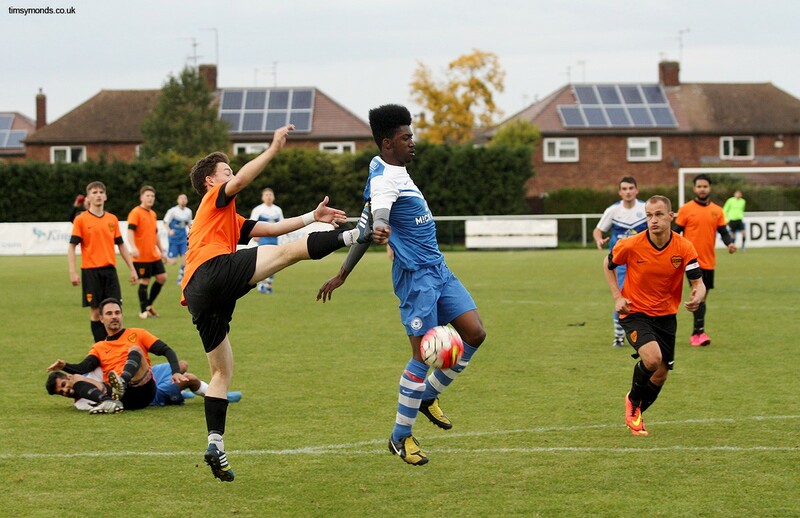 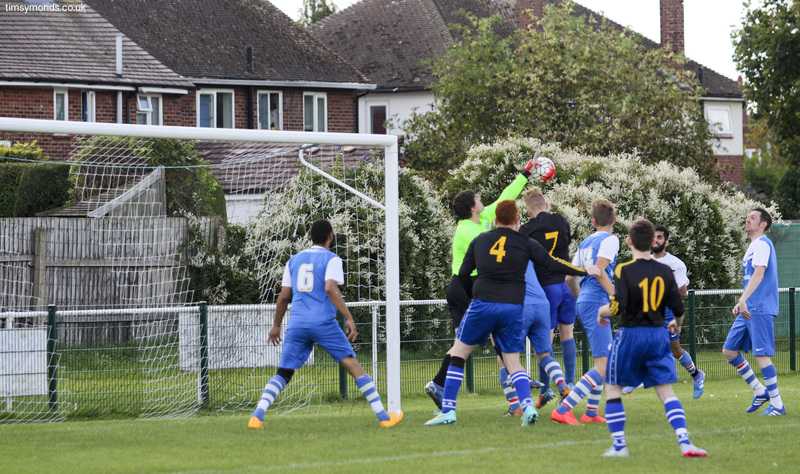 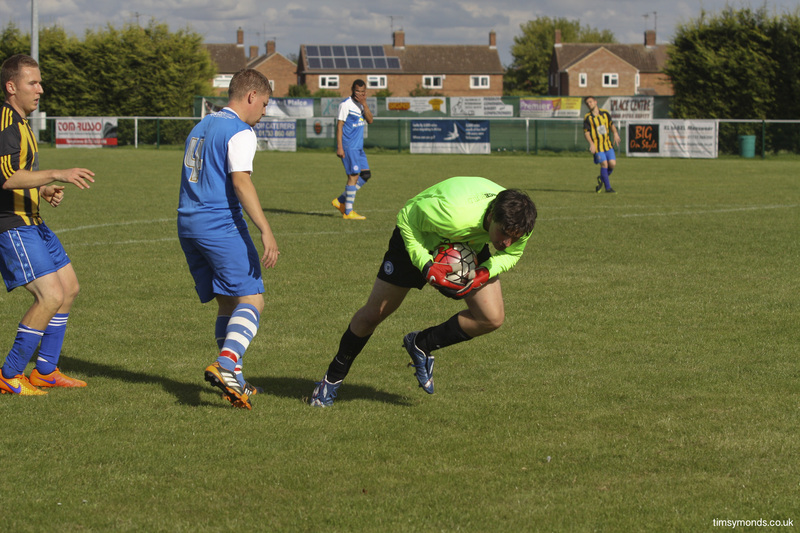 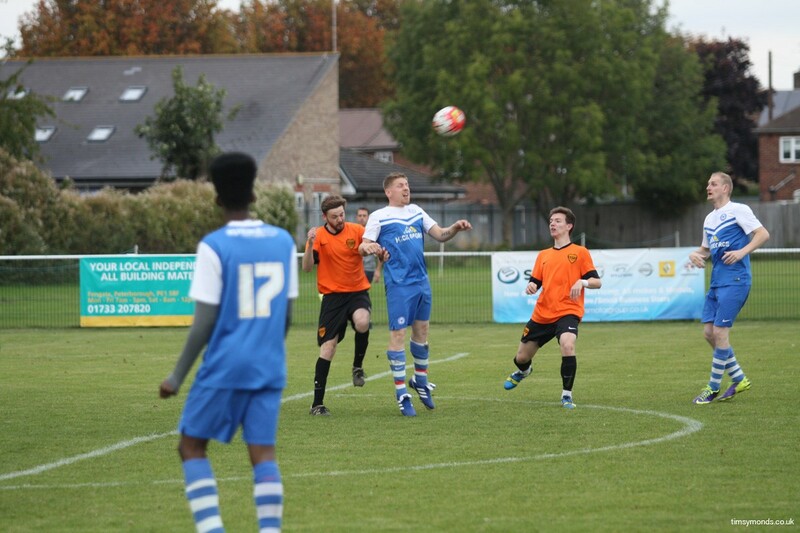 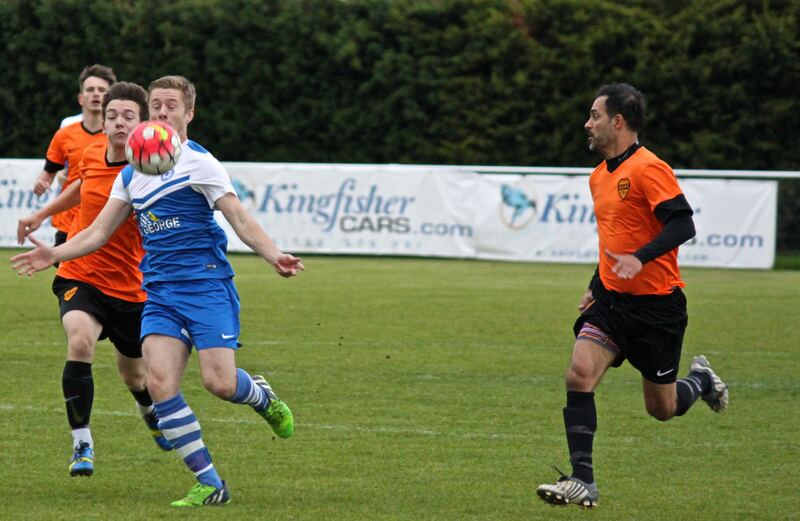 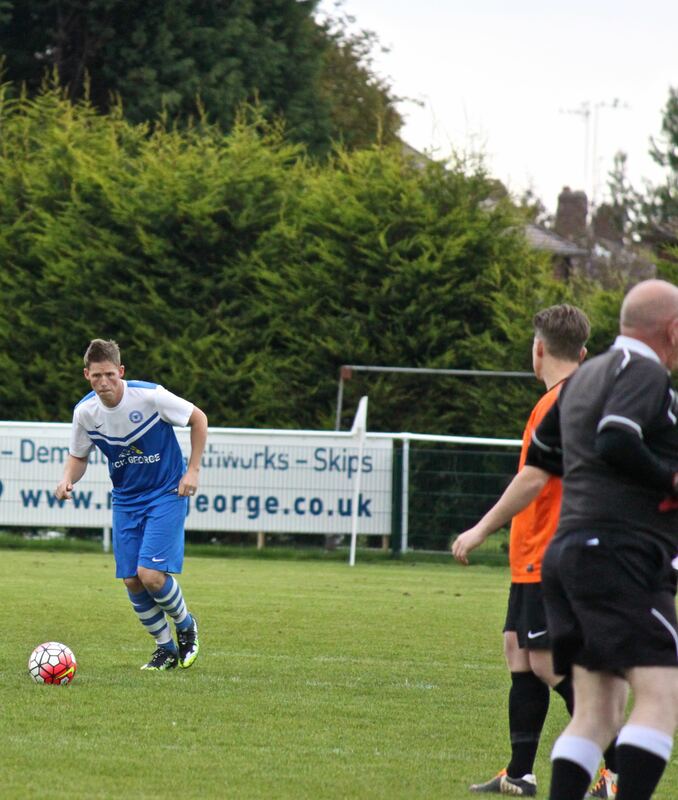 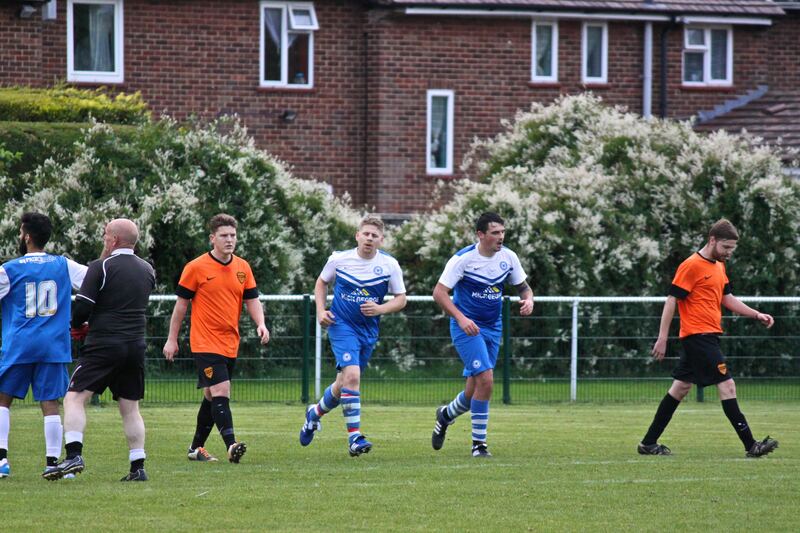 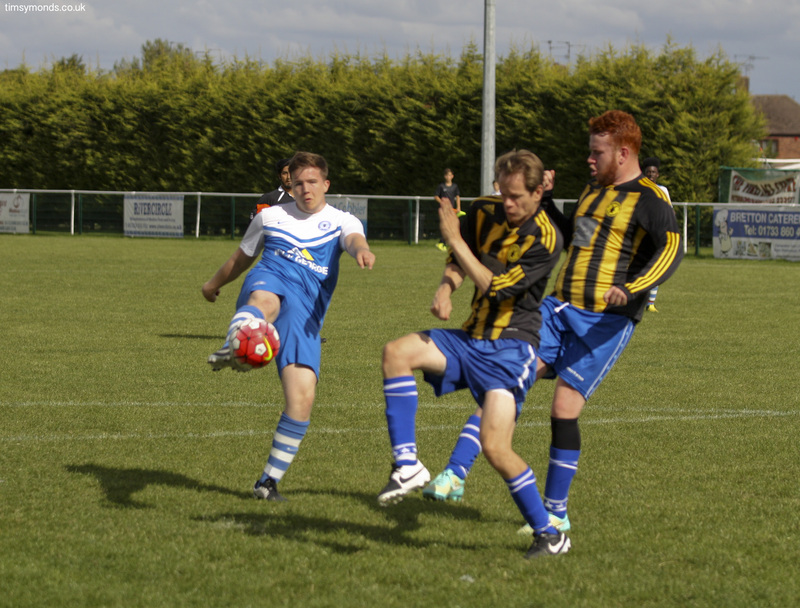 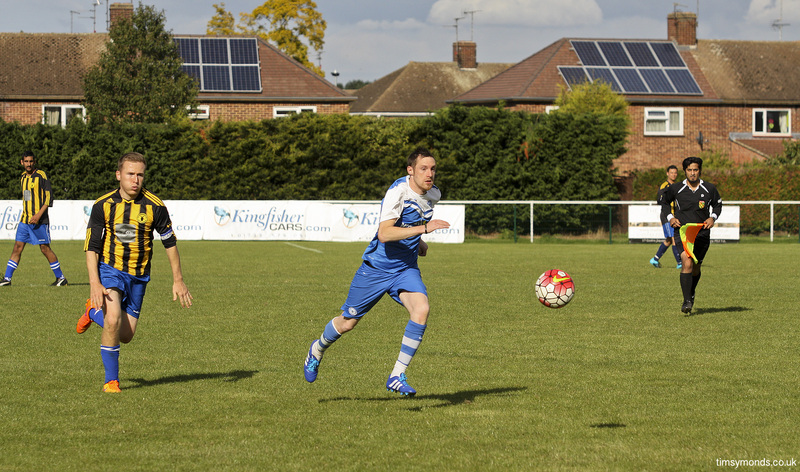 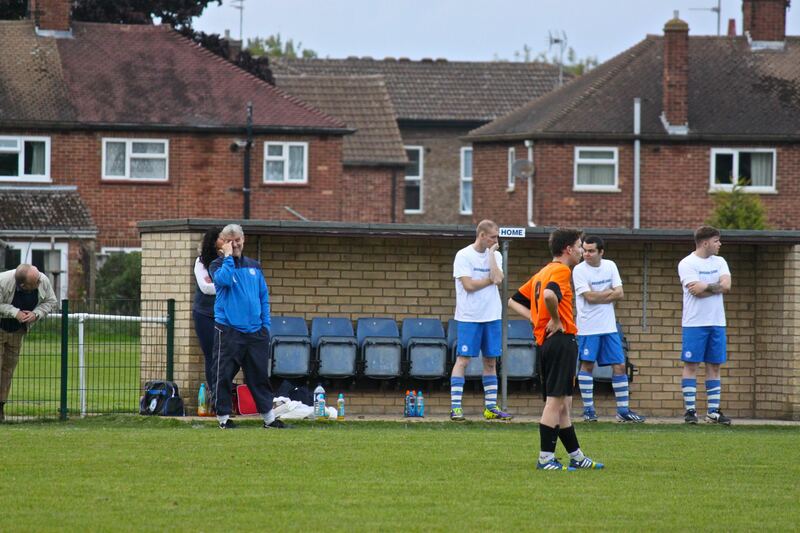 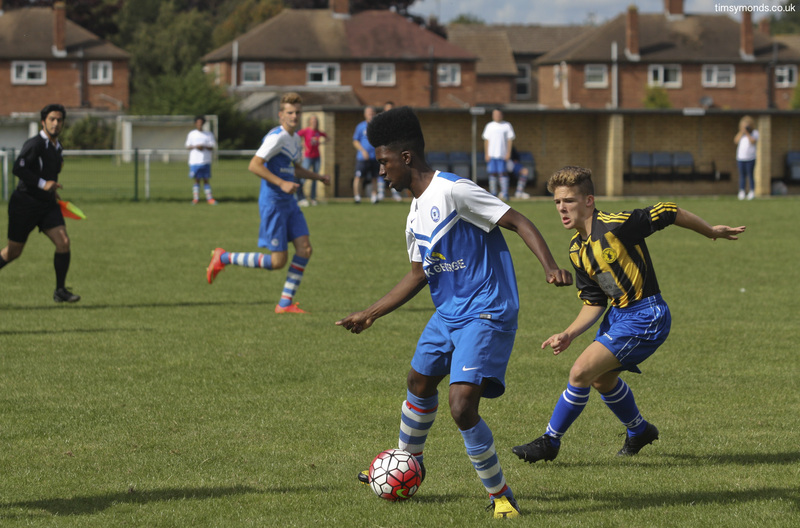 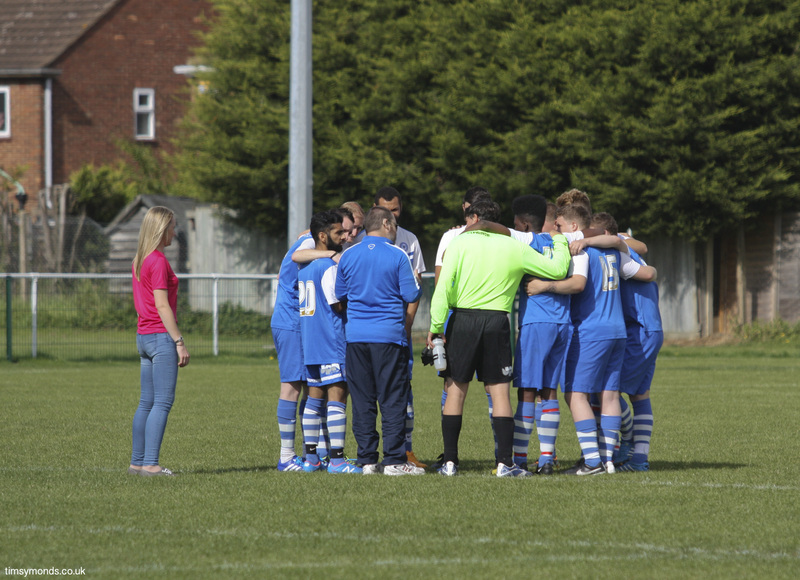 Peterborough’s Deaf Team’s won their first ever league match with a 4-1 win over Brighton. 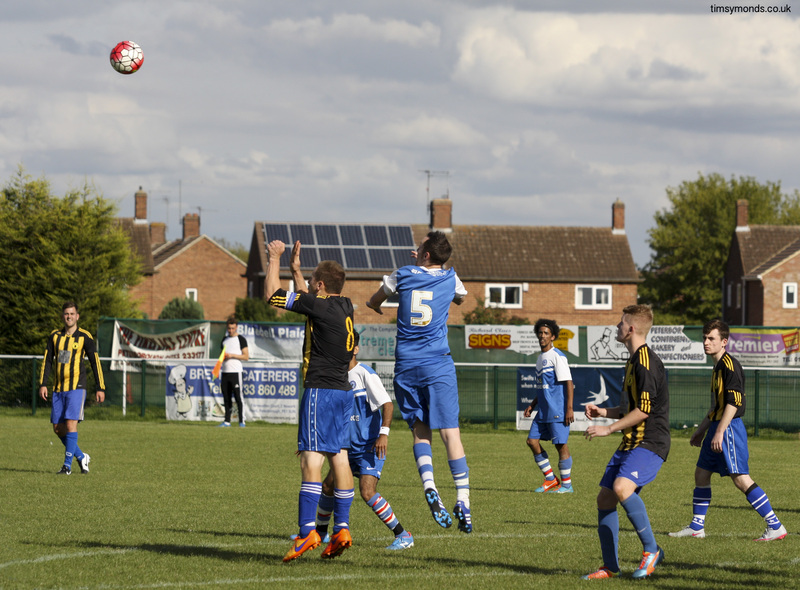 In the first half Peterborough scored three goals which effectively ended the contest. 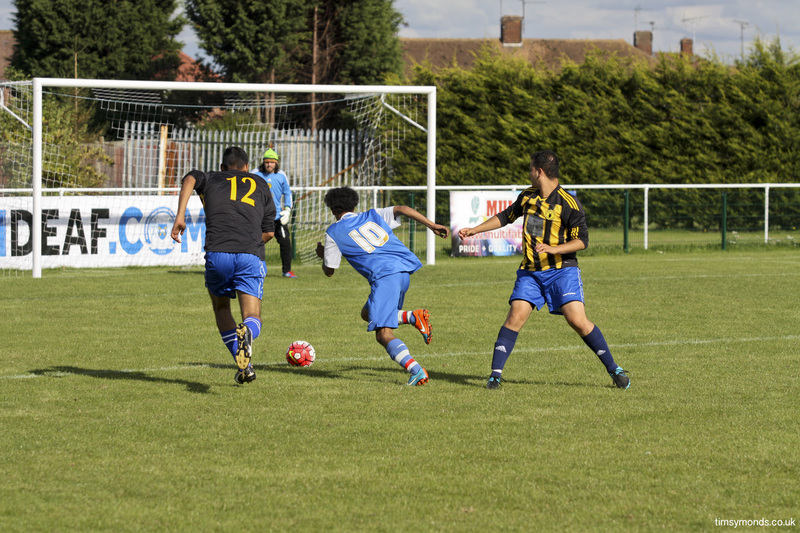 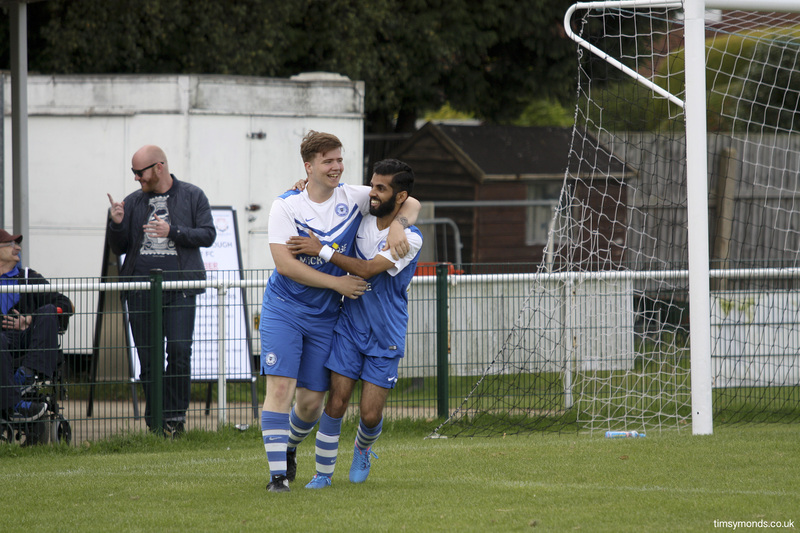 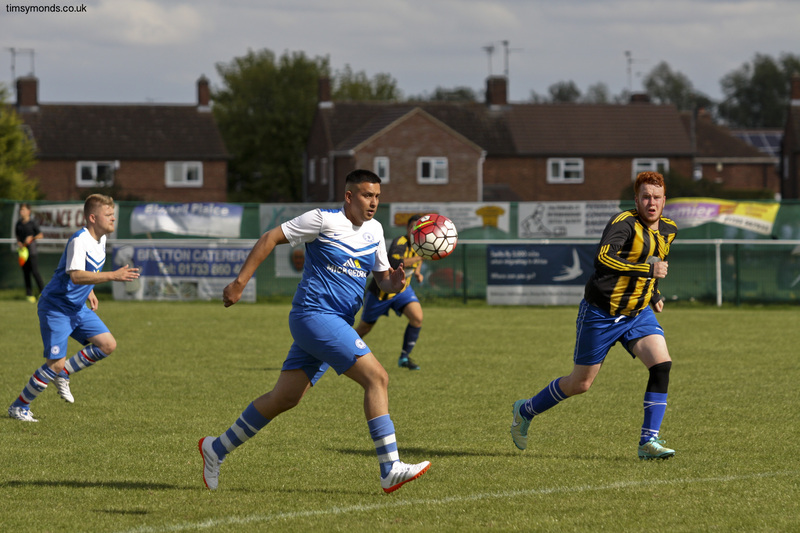 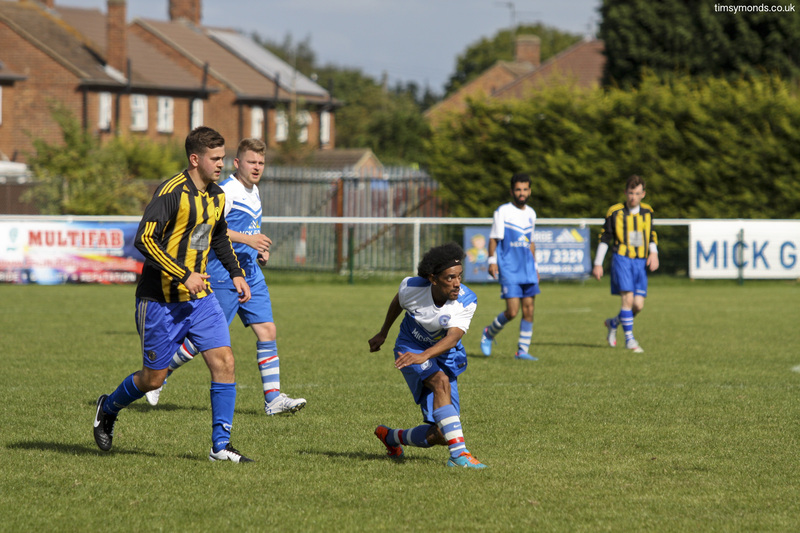 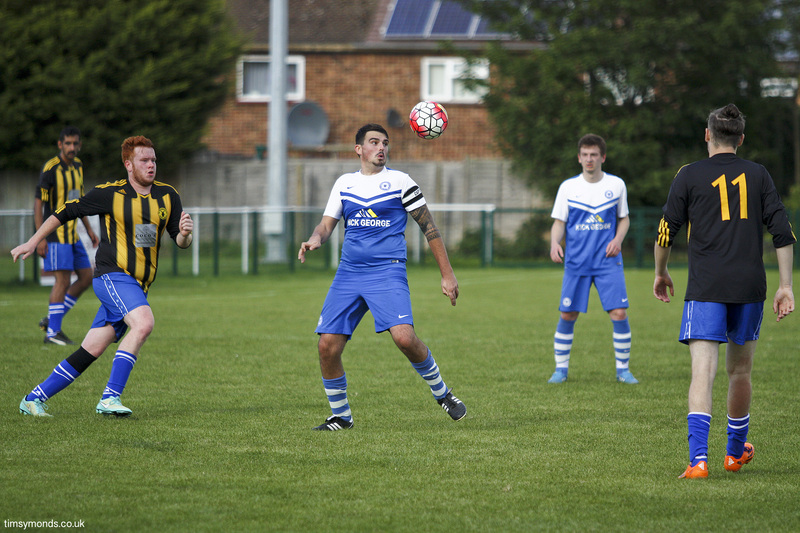 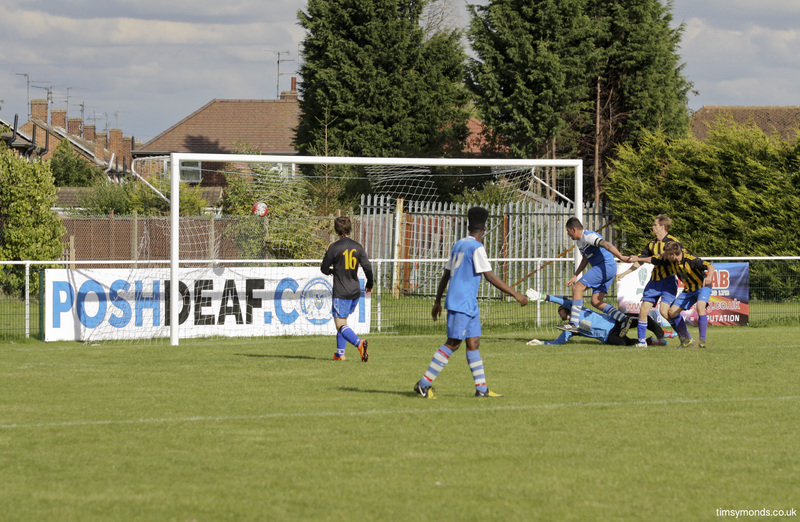 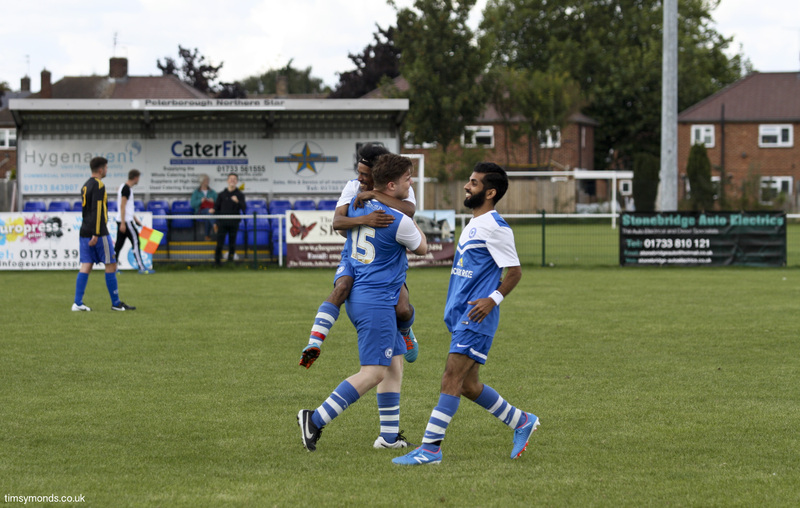 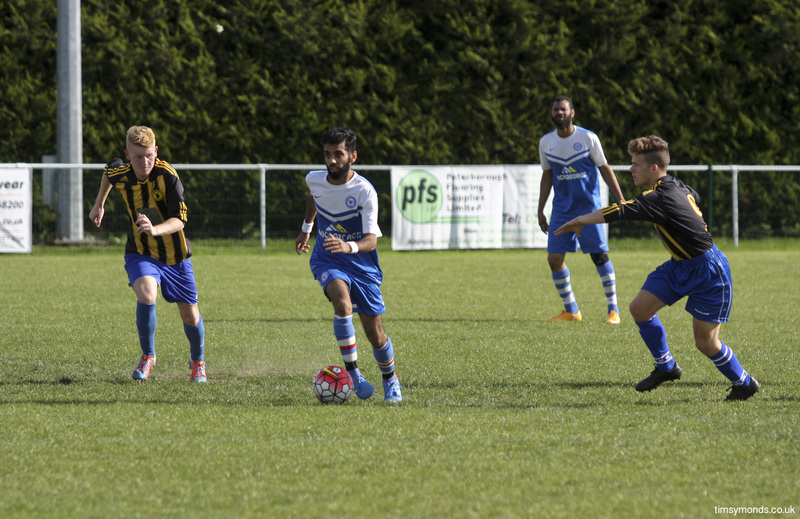 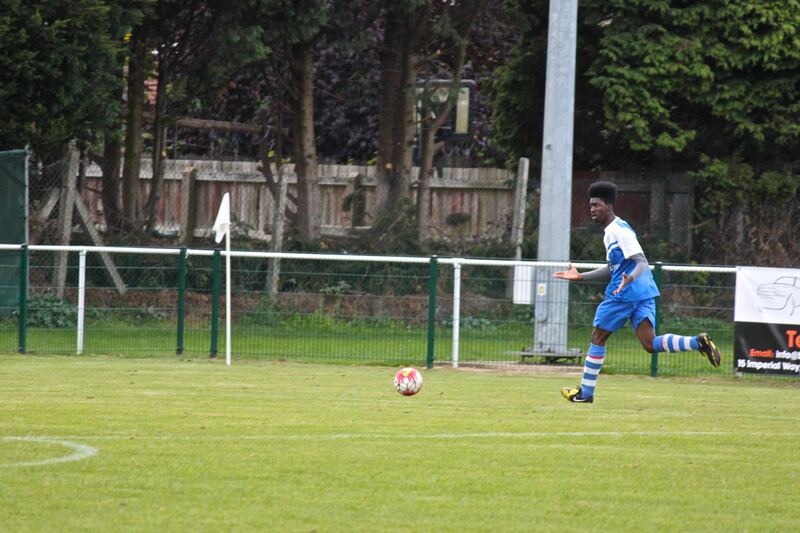 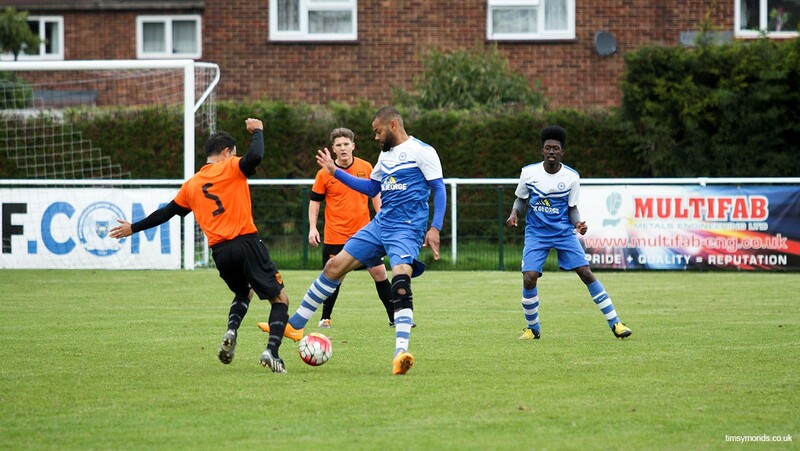 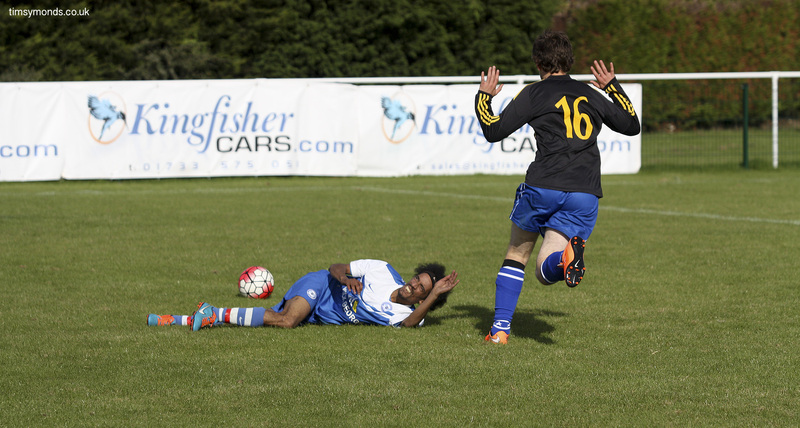 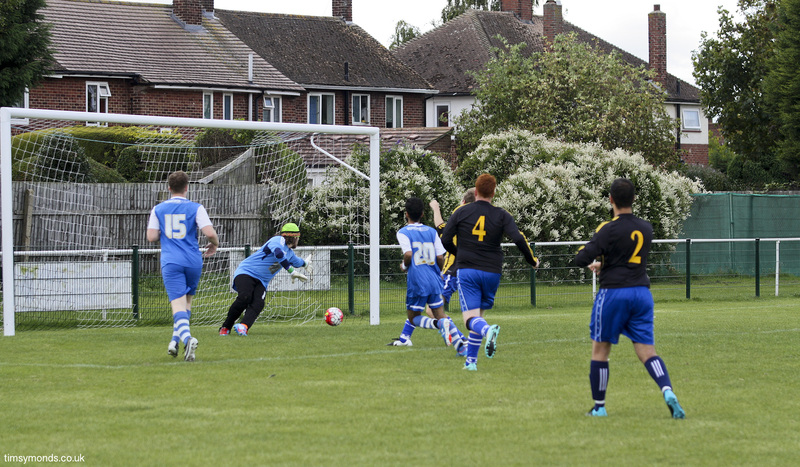 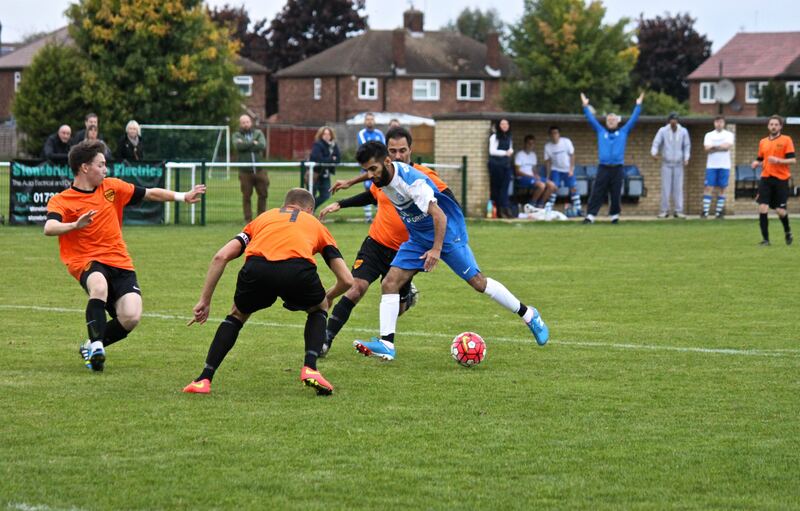 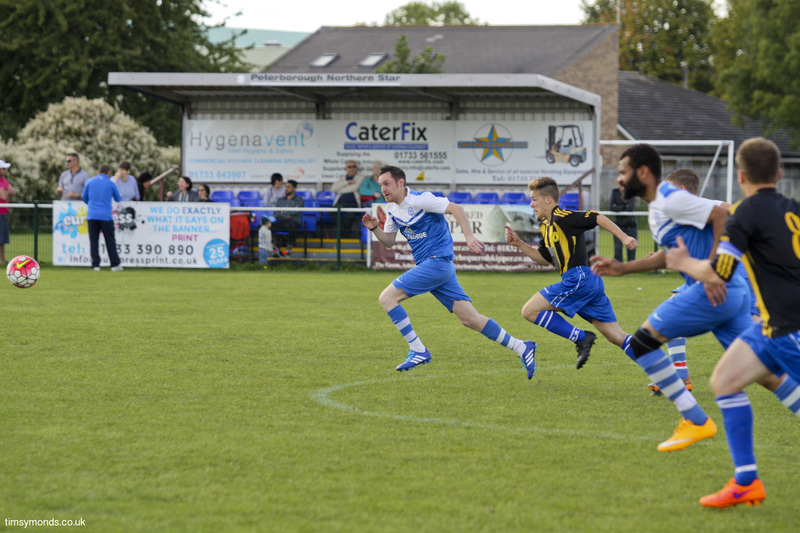 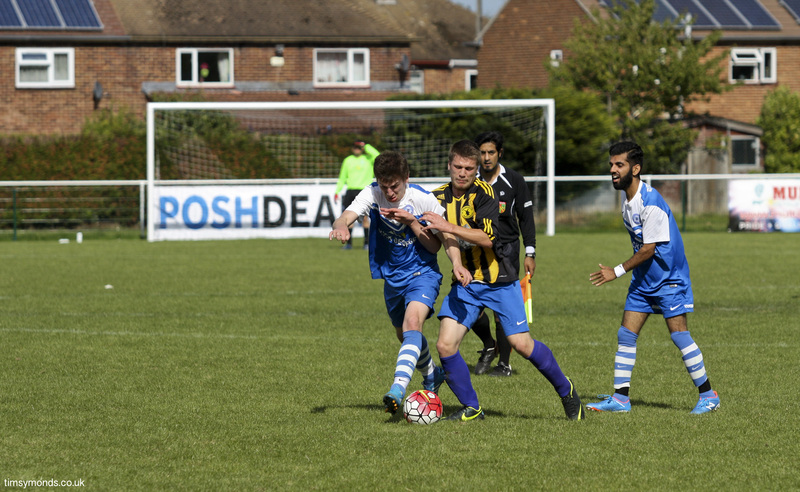 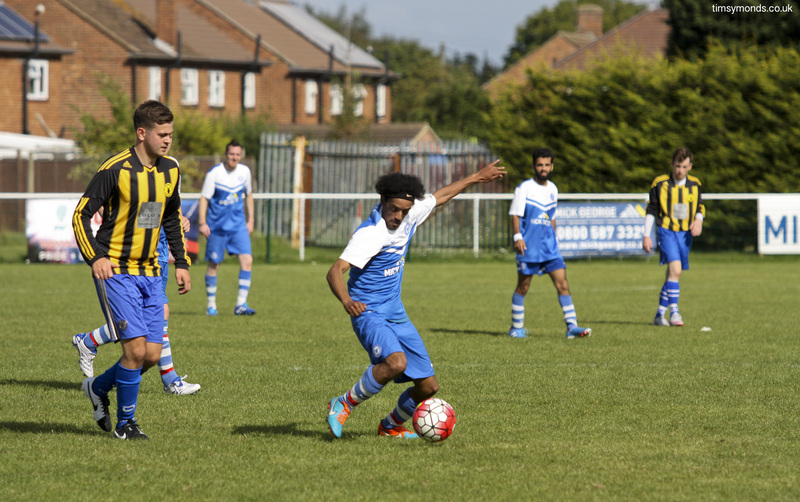 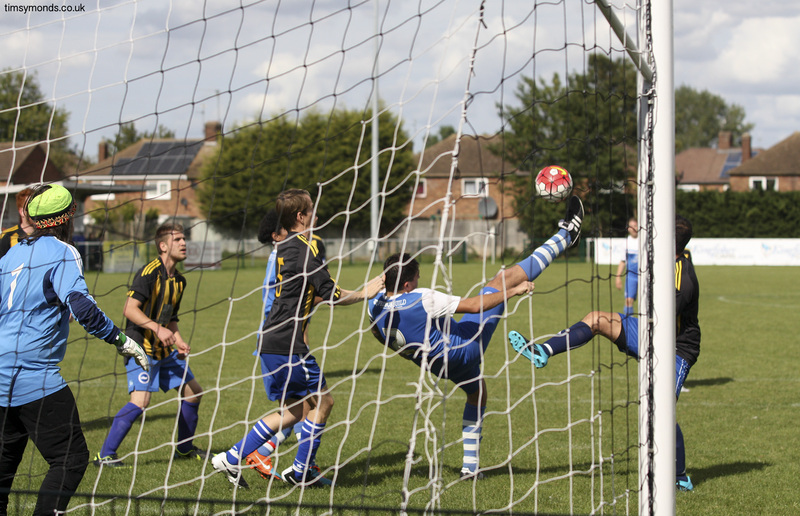 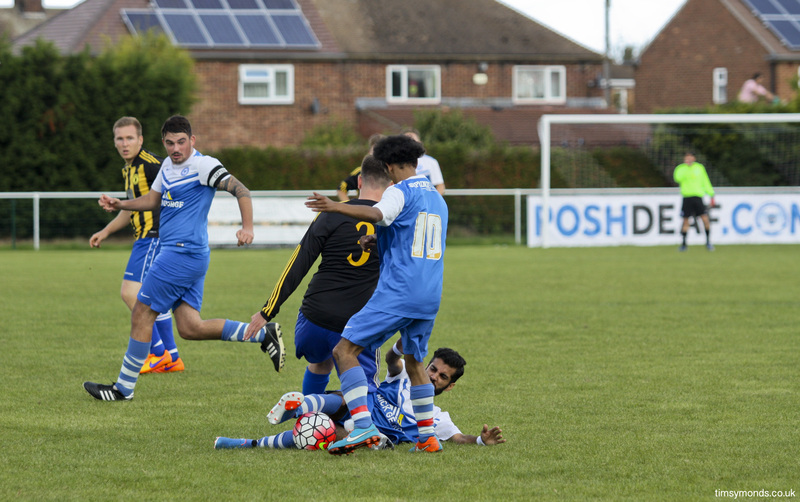 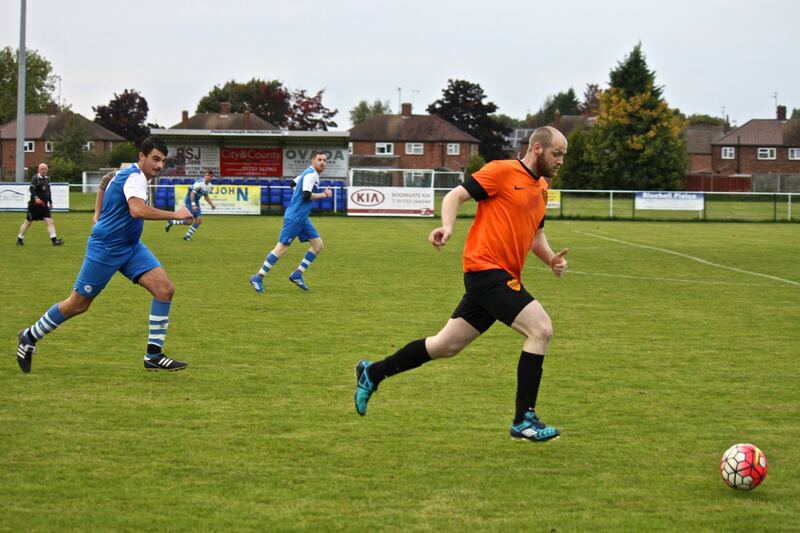 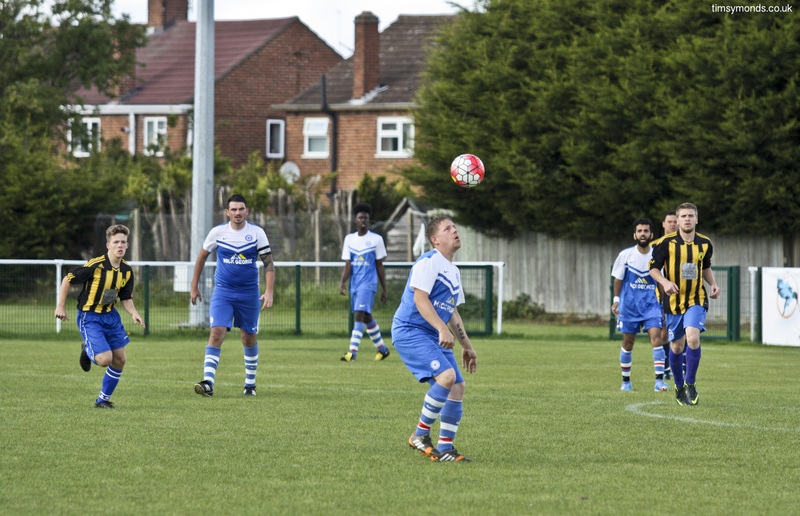 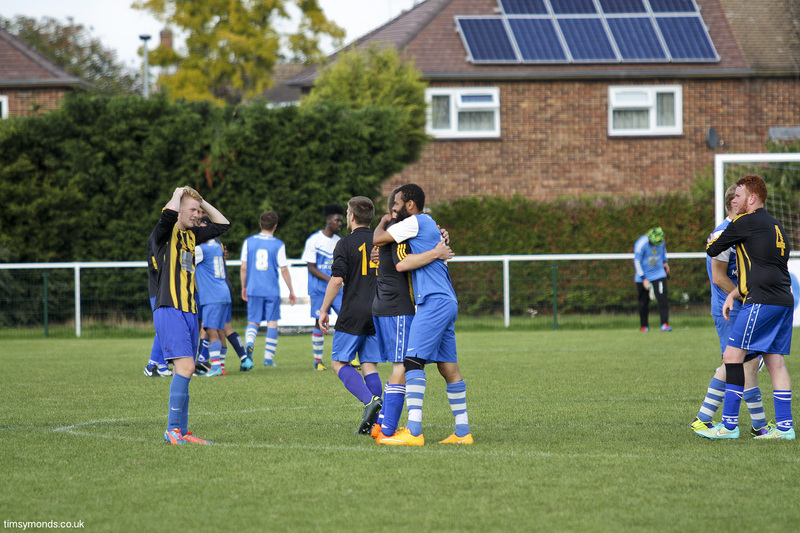 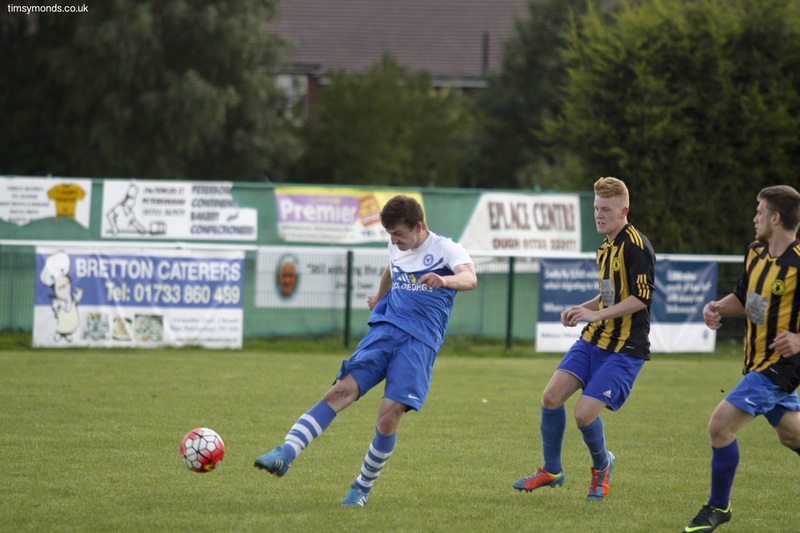 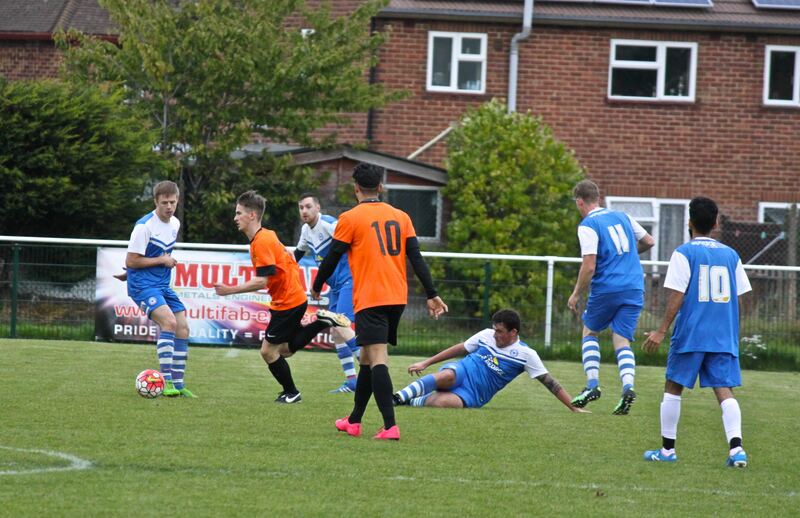 Qadeer Hussain scored the first official goal for Posh Deaf. 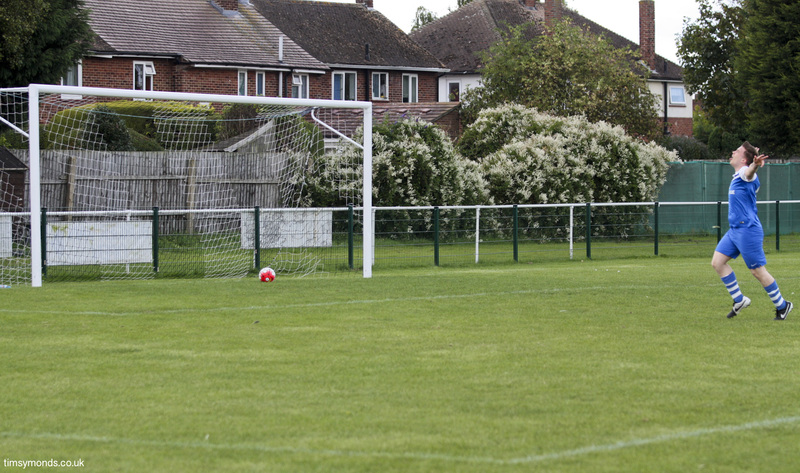 Soon after Stephen Sear grabbed another before Michael Bedford hit an amazing volley from the edge of the area. 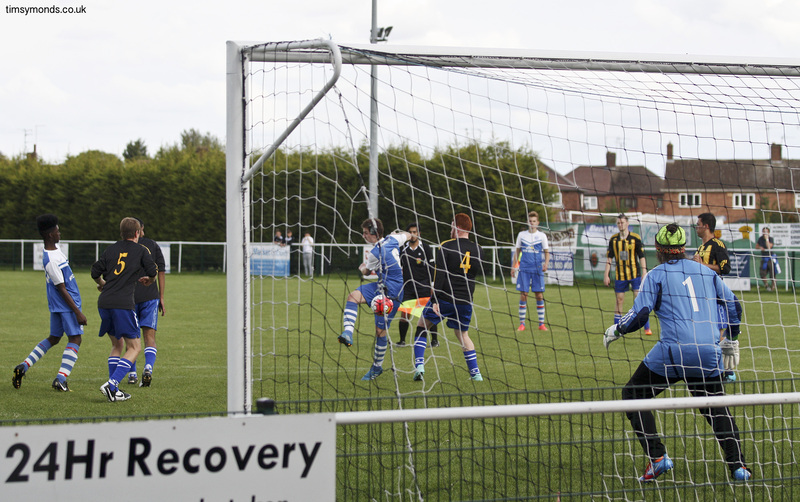 Alex Tovey added a fourth in the second half and with Brighton looking far more confident, they got one back. 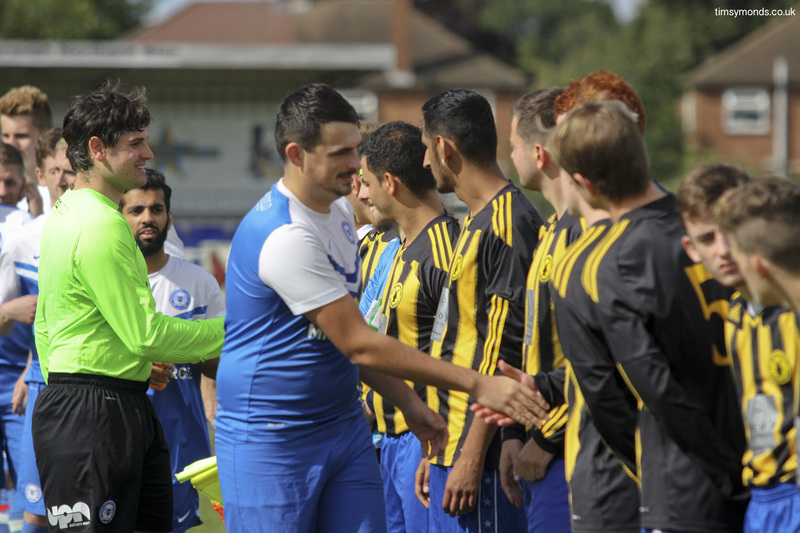 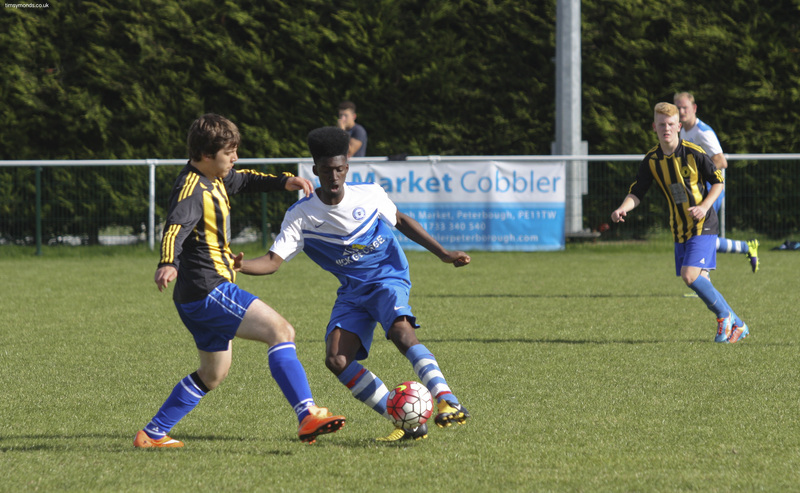 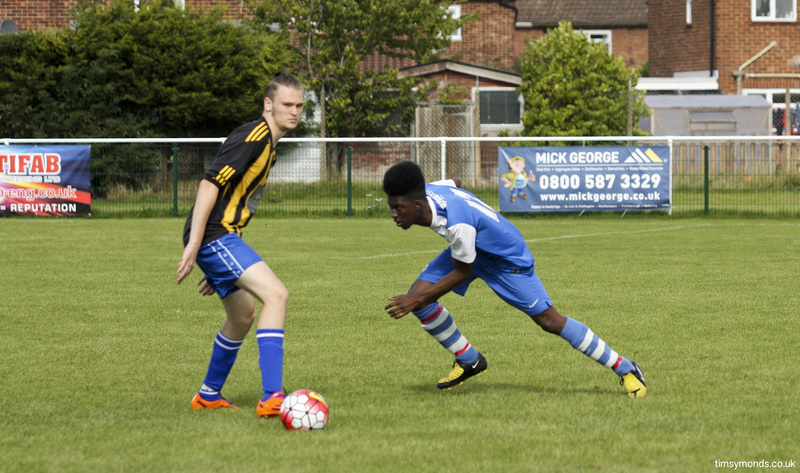 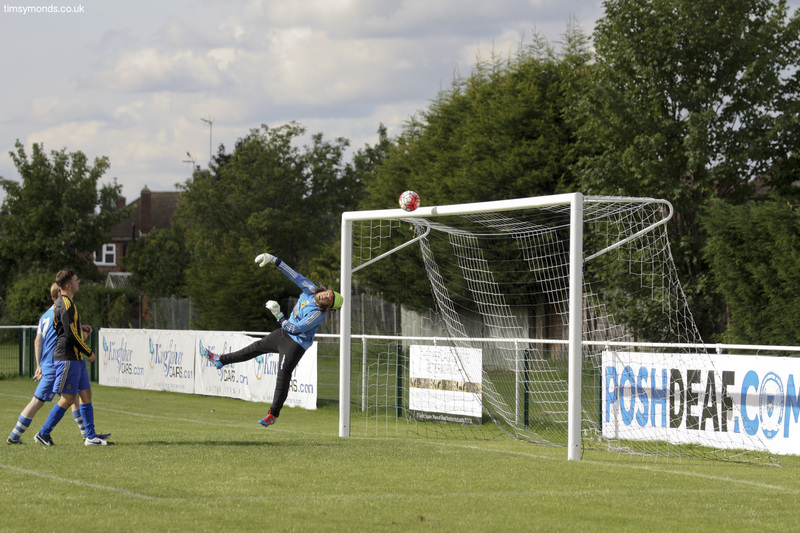 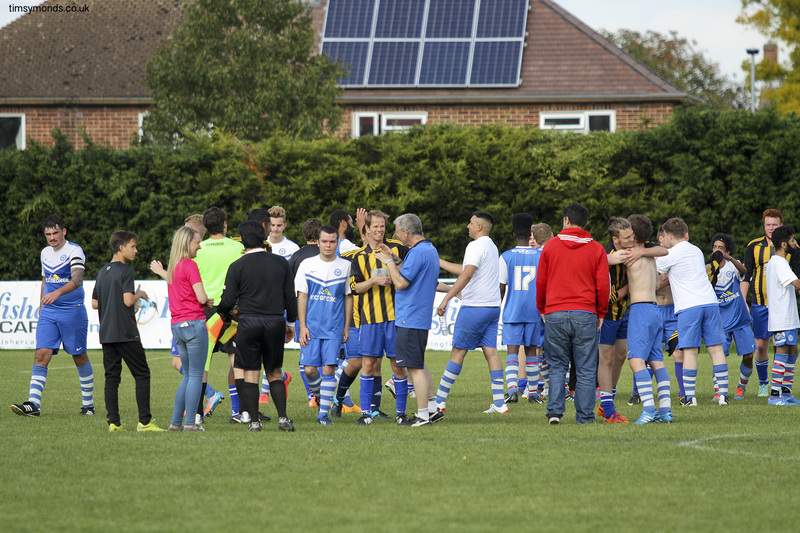 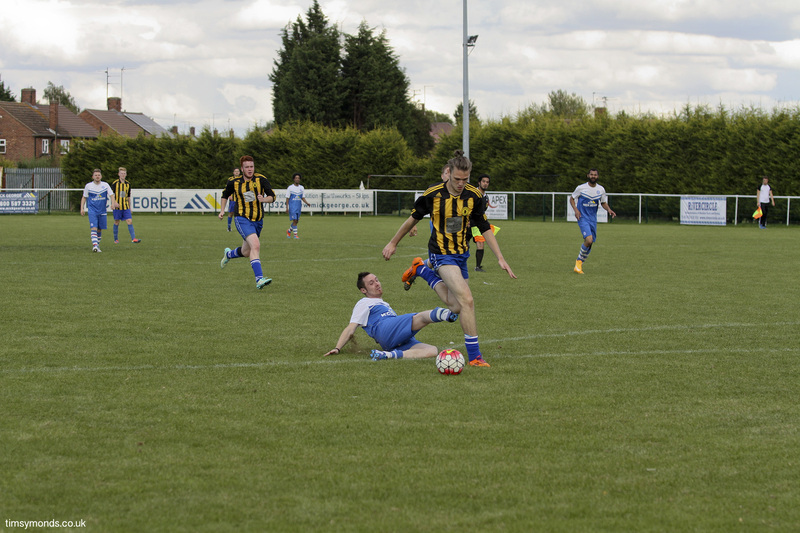 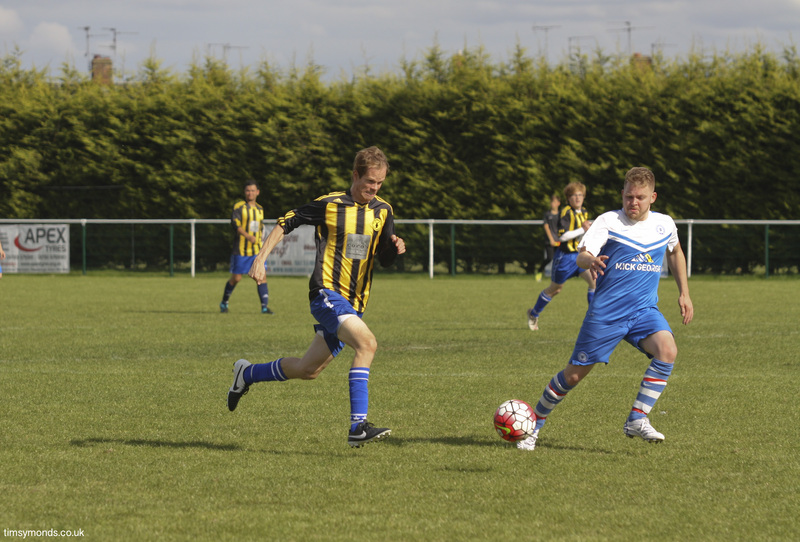 Posh Legends v Arsenal day was a big success. 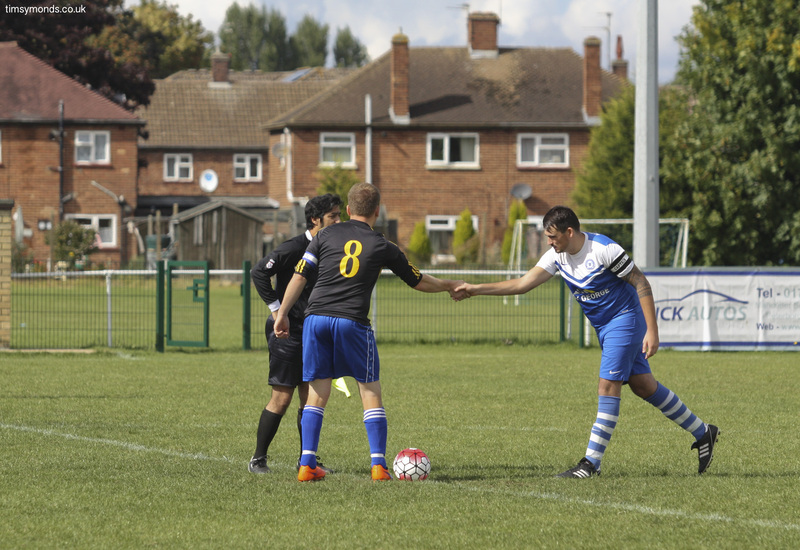 Peterborough United’s Deaf Football Teams would like extend warm thanks to all involved in the Legends v Celebs charity football day, sponsored by Amplifon. 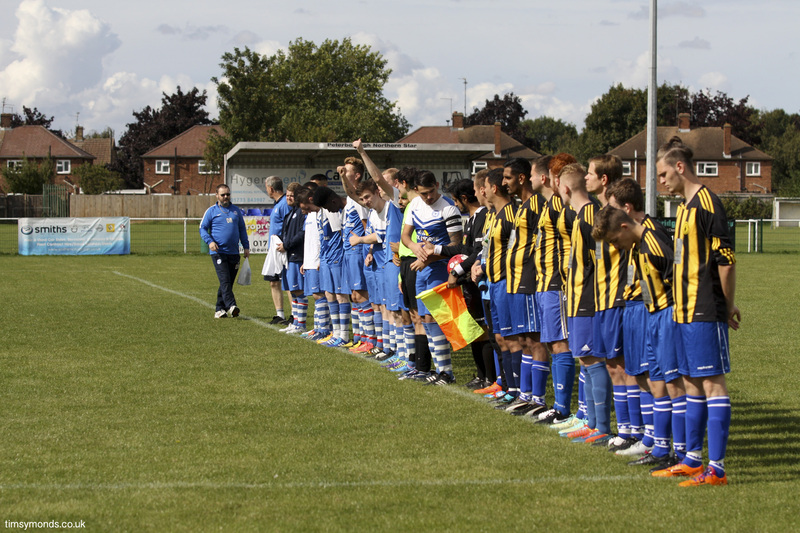 We raised aver £1,500 from the day which will go towards the costs of running the football club in the next season. 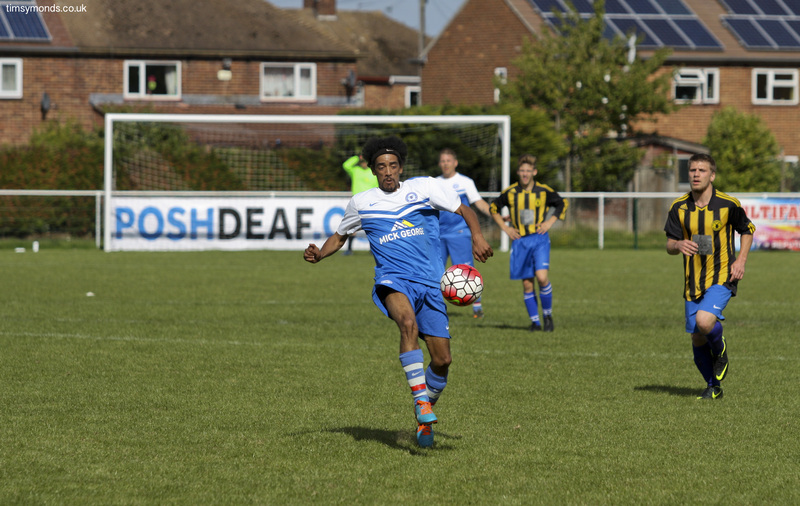 On top of that, the profile of deaf and amputee football was raised in the city. 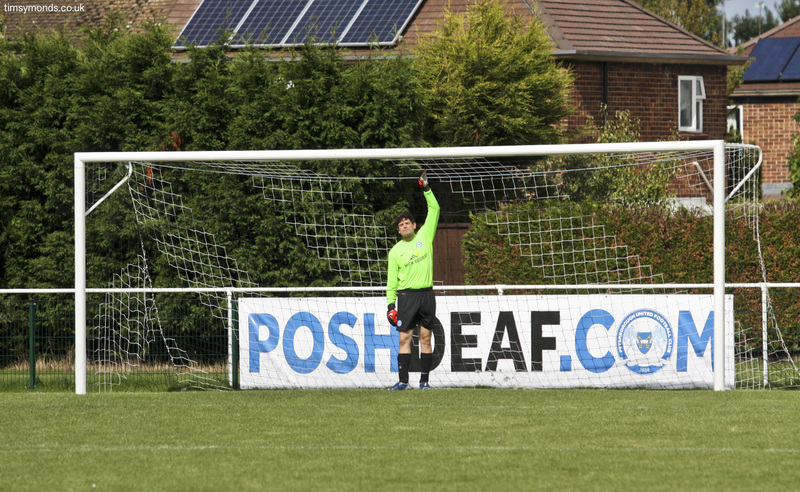 Posh Deaf, the Posh Amputee team and GB team received rave reviews from the crowds, estimated to be of around 400 people at their peak. 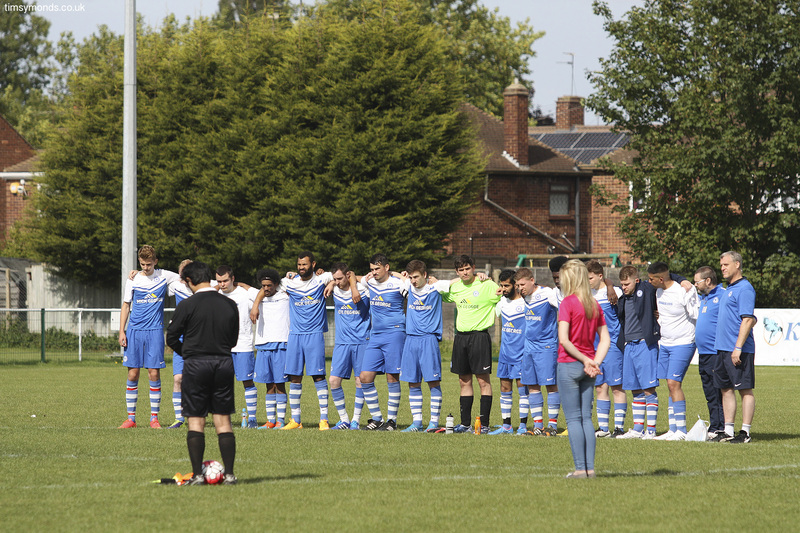 It was a great feeling to receive such support from the people of Peterborough and the football community. 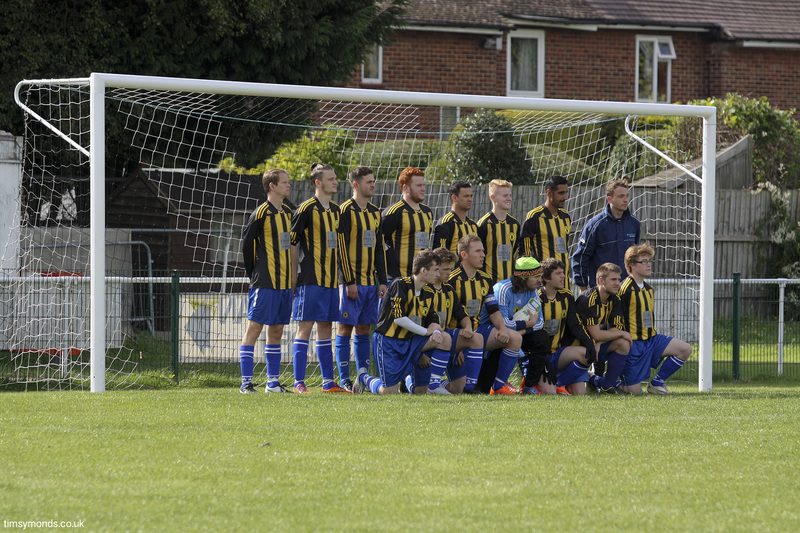 Photography by Tim Symonds & PNS official photographer. 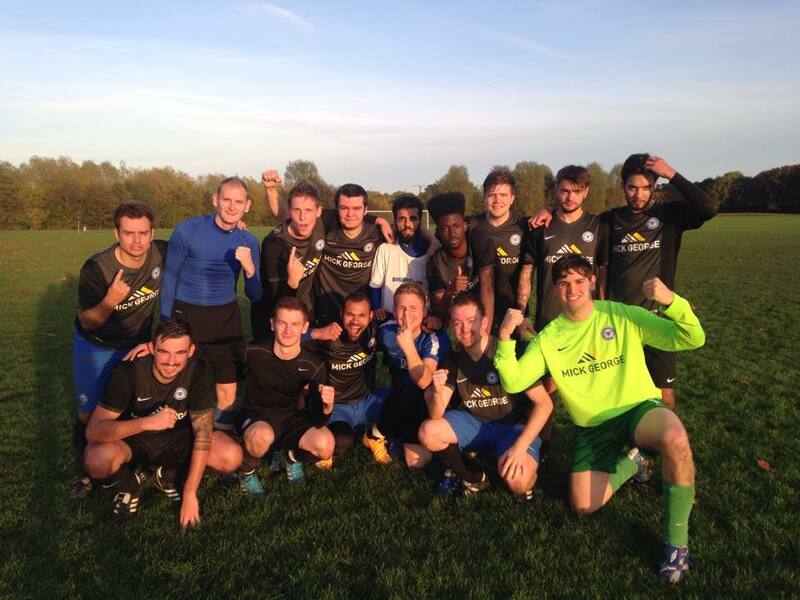 Peterborough United’s Deaf team recorded their second win and first against a hearing team last night with a 2-1 win over Cardea Reserves. 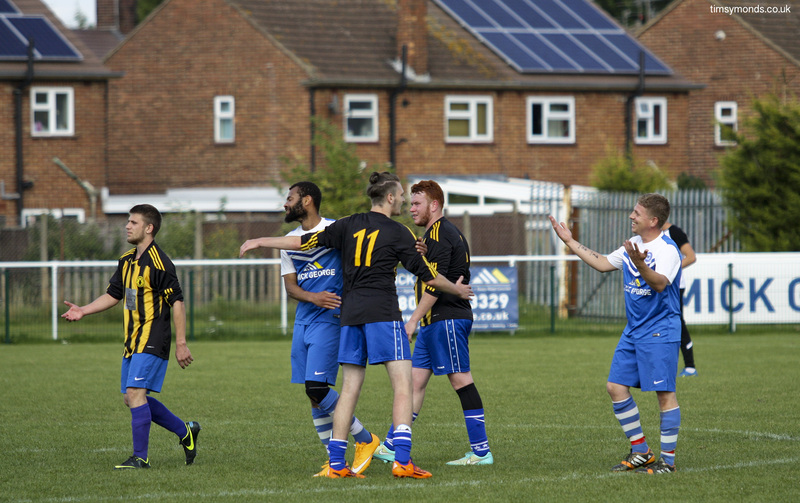 The result marked the progress of the team who has previously been on the receiving end of heavy defeats to Cardea, each time conceding 5 goals and led to scenes of celebration. 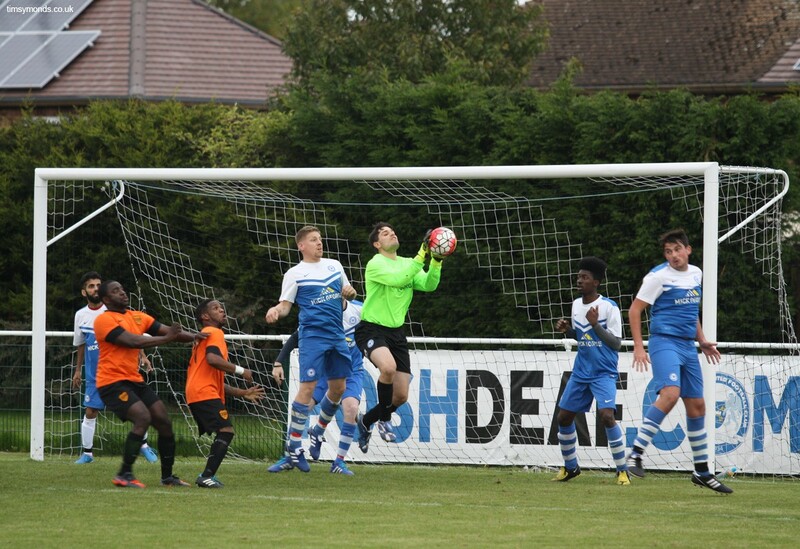 Cardea were in control of large periods of the game and Posh had to defend resolutely and in doing so showed the progress that has been made. 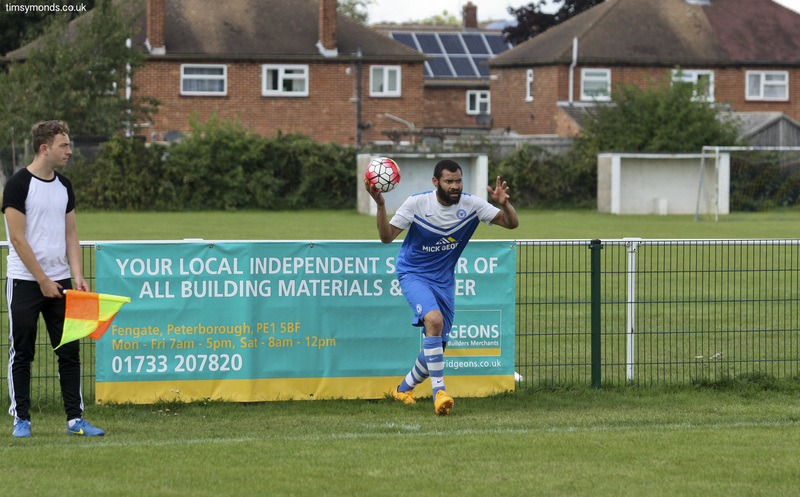 Cardea scored first but Peterborough remained positive and equalised and took the lead when Cameron Cockerill made the most of two Cardea mistakes late on. 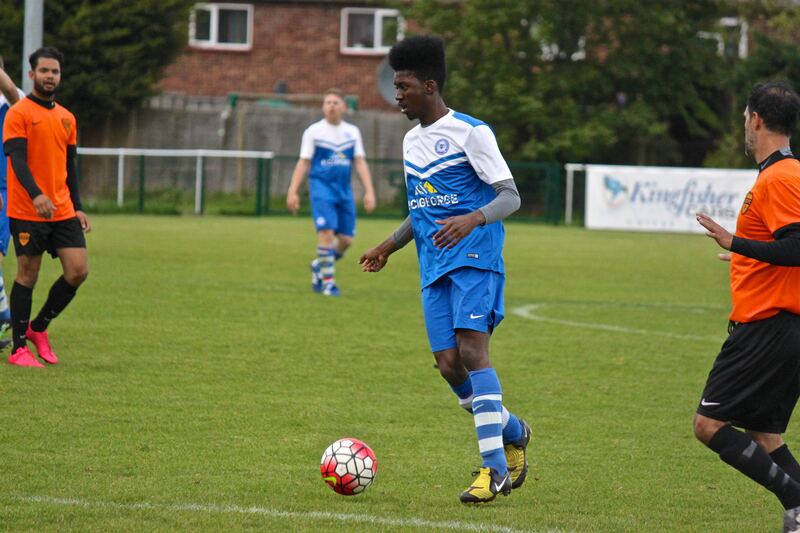 Cameron has scored seven goals in five games for Posh so far. 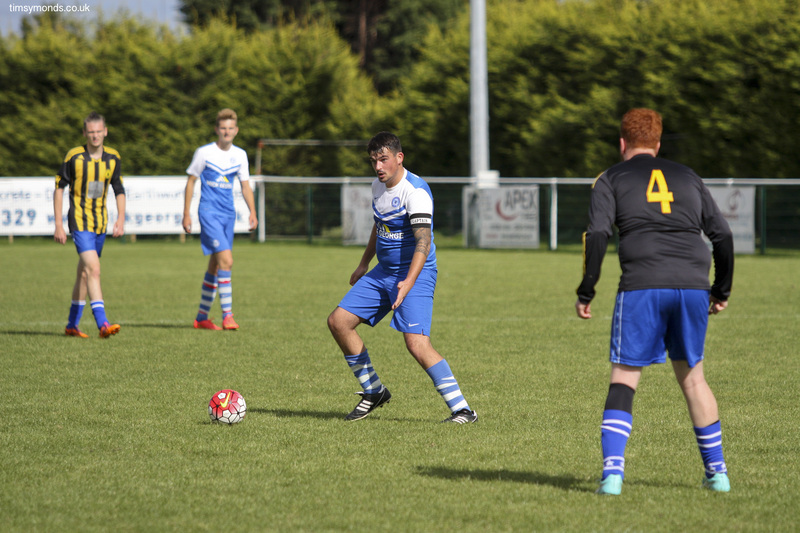 Dean Connoley was man of the match for a brilliant defensive performance and Liam Avey, wearing the captain’s armband for the first time, impressed with his new responsibility. 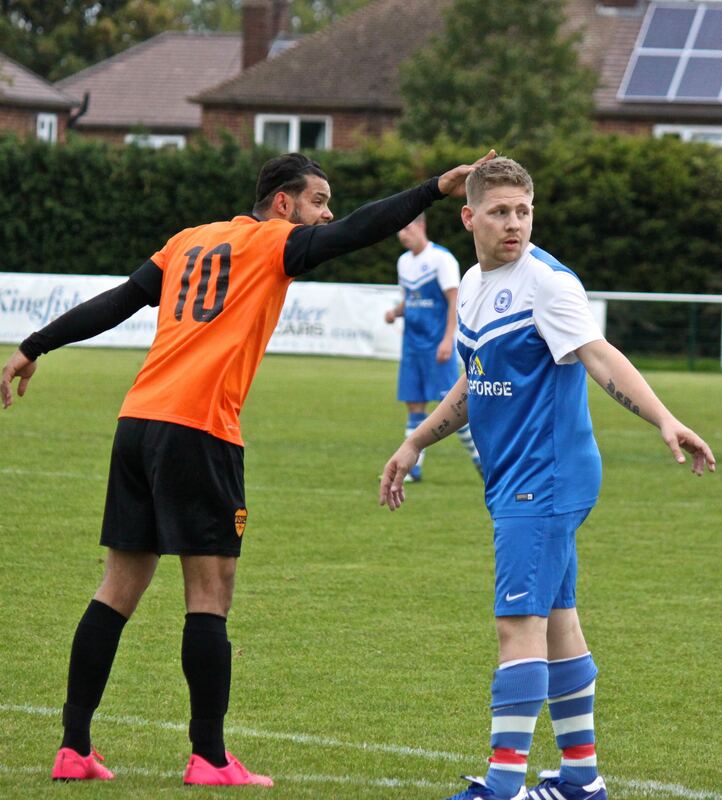 He also allowed very little past him on the right. 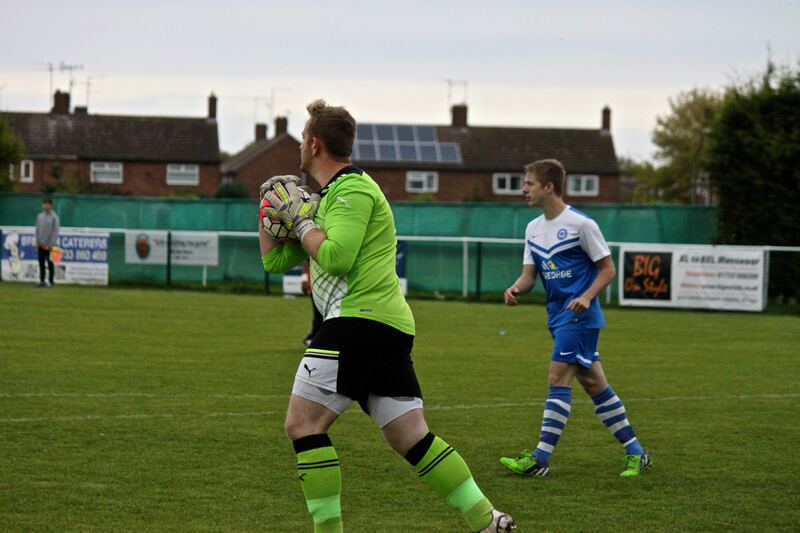 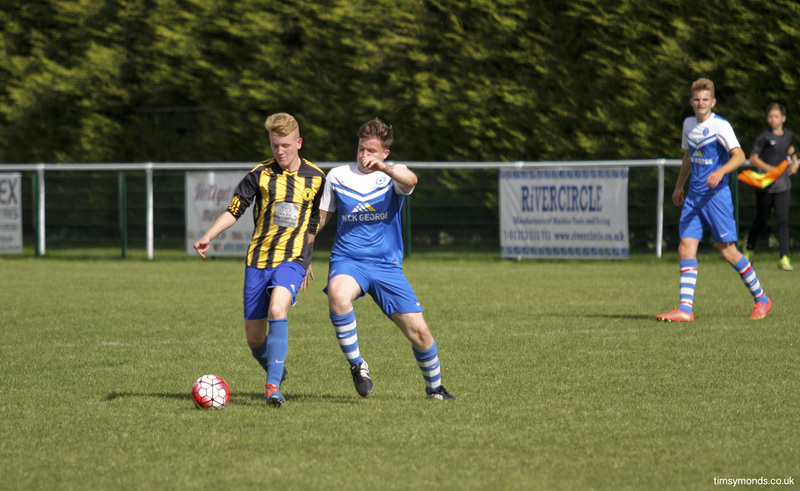 Youngster Will Palmer was given his debut with ten minutes remaining.